The International Organization of Securities Commissions (IOSCO) published a consultation report of the Task Force on Cross-Border Regulation on Tuesday, identifying challenges in the field and describing the possible tools to overcome them. The report describes three regulatory tools that have been used, or are under consideration, by IOSCO members to help address the challenges they face in protecting investors and reducing systemic risk. 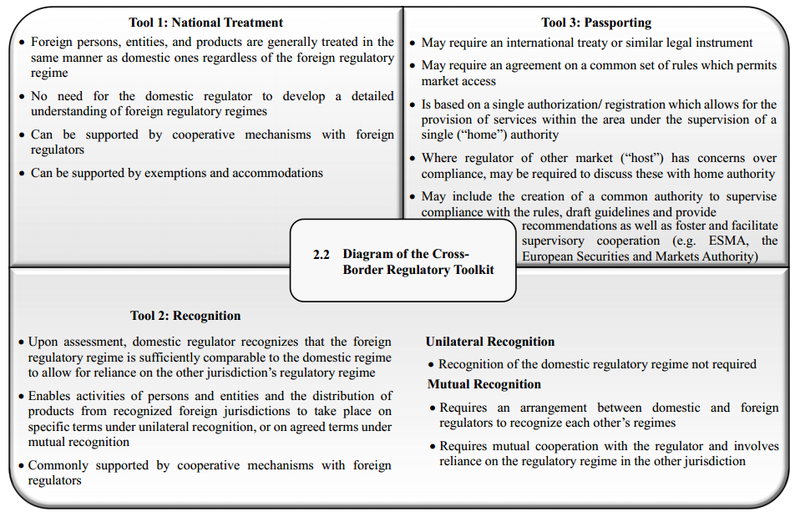 These tools are said to provide the basis for developing a cross-border regulatory toolkit and common terminology describing potential options for IOSCO members to consult when considering cross-border regulations. They can be broadly classified into three main types: National Treatment, Recognition and Passporting. 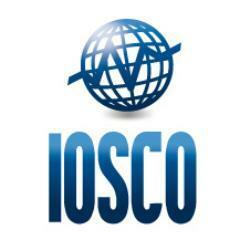 IOSCO is the international body that brings together the world’s securities regulators. IOSCO develops, implements and promotes adherence to recognized standards for securities regulation, working intensively with the G20 and the Financial Stability Board (FSB) on the global regulatory reform agenda. IOSCO’s members include over 120 securities regulators overseeing more than 95% of the world’s securities markets. Tuesday’s report also includes a detailed discussion of the key challenges and experiences faced by regulators in implementing cross-border securities regulations, including how their national rules will apply to global financial markets and interact with foreign rules and international standards. In June 2013, IOSCO established the Task Force on Cross-Border Regulation to consider these issues and to assist policy makers and regulators in addressing the challenges they face. National treatment refers to when, regardless of the details of the foreign regulatory regime or how they may compare to the domestic one, entities operating from foreign jurisdictions are treated in the same manner as domestic ones in terms of ongoing regulatory requirements. The state of leveraged foreign exchange trading (forex) in Hong Kong is one example of this. Recognition, for the purposes of the report, refers to an arrangement under which a host regulator “recognizes” a foreign regulatory regime, following an assessment of the foreign regulatory regime by the host regulator. This may be unilateral or mutual, depending on whether two-way recognition is required between the jurisdictions. Passporting of financial products and financial services providers allows the holder of a regulatory license or authorization in one jurisdiction, that is a party to the passporting arrangement, to offer the financial product or provide financial services covered by the authorization or license in any of the other jurisdictions that are parties to the arrangement. No further authorization requirements are needed but the home jurisdiction may only issue an authorization or a license if the financial product meets an agreed set of rules. 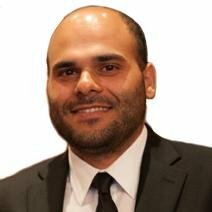 In the forex industry, passporting is already a very well-known and widely used concept as most brokers regulated in Cyprus and the UK use the MiFID license passporting ability to offer services across the EU. This maybe a long way off, but if such an agreement is ever adopted by the G20, financial firms will basically be able to operate anywhere with only a single country’s license. The MIFID “clowns” could not prevent the LIBOR Scandal, the FX scandal, the MF Global scandal, the CDO scandals and so forth and so forth…. AND NOW THEY WANT TO EXPORT THEIR “TEETHLESS” COMNPLIANCE PRODUCT AROUND THE GLOBE?